WBTW.COM is a proud member of Nexstar Media Group, Inc. and the Nexstar Nation. 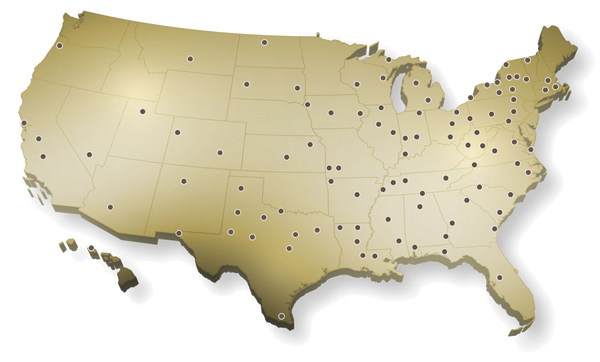 With 171 television stations in 100 markets, Nexstar Media Group is the largest TV station operator in the country. But we are more than that. We’re also a technology company. Along with a broad range of broadcast opportunities, Nexstar staffs a growing and diversified digital media operation encompassing content management and mobile platforms, content marketing, targeted advertising products and strategic digital design and advertising operations. From newsroom to sales to operations to digital technology, joining Nexstar Nation offers unlimited opportunities for your career endeavors. We respect our audience, customers, employees and owners. We encourage every individual’s contributions and personal growth. We honor diversity. We foster work environments that provide personal pride through job satisfaction and a balanced life. We embrace the communities in which we operate. We promote open communications, innovation and creativity. We strive for excellence in all our endeavors. We are in the local content business, providing multiple platforms for news, entertainment and successful marketing solutions, enriching each community we serve. Each of our television stations are local service businesses. With markets ranging from small to major, Nexstar has a place for every experience level. Whether you’re just starting your broadcasting career or ready to make the leap into a larger market, Nexstar offers a broad range of opportunities. And that same market diversity allows Nexstar to give employees room to grow and progress in their careers. As your experience, ability, talent and ambition grows, so too will your options within Nexstar Nation. We at Nexstar pride ourselves on the opportunities we provide for employees to give back to their communities. On our 20th anniversary in June 2016, we didn’t throw a party. Instead, Nexstar employees fanned out across the country to contribute thousands of hours of community service. It was an employee-driven effort focused on local non-profits and charities. This inaugural “Founders Day of Caring” is just one of the many service opportunities for Nexstar Nation employees.